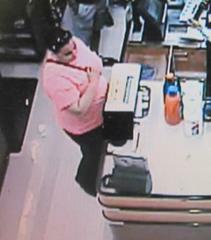 CRIME ALERT - DO YOU KNOW THIS WOMAN? We have seen an increase in wallet/purse thefts from shopping carts in the recent months. Unfortunately, most of these incidents are not captured on surveillance footage and there is very little that can be done to catch these thieves. 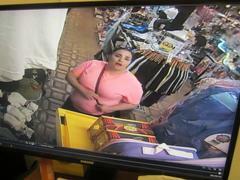 Last month, the female in the photographs committed a wallet theft while the unsuspecting victim was shopping. Fortunately for detectives, the female was spotted on video using the victim’s credit card to make purchases. Our detectives have reason to believe the female in the photographs is local and are seeking your help in identifying her. Anyone with information is asked to contact Detective Ryan Newton at 714-573-3249. Information provided will be confidential. We appreciate all of your continued support and assistance identifying these thieves.